Southern Caribbean cruises leaving from Tampa go to islands like Aruba, Bonaire, Curacao and Antigua. Departures are in the winter and spring on Holland America Line. The Southern Caribbean islands are less heavily visited and provide a more relaxing vacation. Aruba is an island deep in the Southern Caribbean. It features beaches, gambling, duty-free shopping, golf and Dutch-influenced Old World architecture. Dozens of dive sites are another attraction. Curacao is an excellent place for snorkeling and diving (winner of a Scuba Diving Magazine Readers Choice award). Beaches are sheltered and the water is calm. 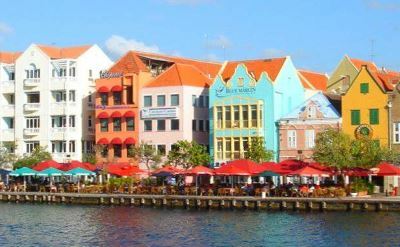 Shop the art galleries and explore the vibrant, walkable town of Willemstad. Antigua has hundreds of little gem-like beaches. Shop the food and arts at the public marketplace. Tour historic Nelson's Dockyard. Go kite-surfing. The island is an international destination for sailing and yachting. 14-day Southern Caribbean cruise on Holland America Line. Round-trip from Tampa to Key West (Florida), Puerto Rico, St Thomas, Antigua, St Lucia, Curacao, Aruba and Grand Cayman. 14-day Southern Caribbean cruise on Norwegian Cruise Line. Round-trip from Tampa to Grand Cayman, Aruba, Bonaire, Barbados, St Lucia, St Kitts, St Thomas and Puerto Rico. 14-day Southern Caribbean cruise on Norwegian Cruise Line. Round-trip from Tampa to Grand Cayman, Aruba, Curacao, Bonaire, St Lucia, St Kitts, Antigua, St Thomas and Puerto Plata (Dominican Republic).